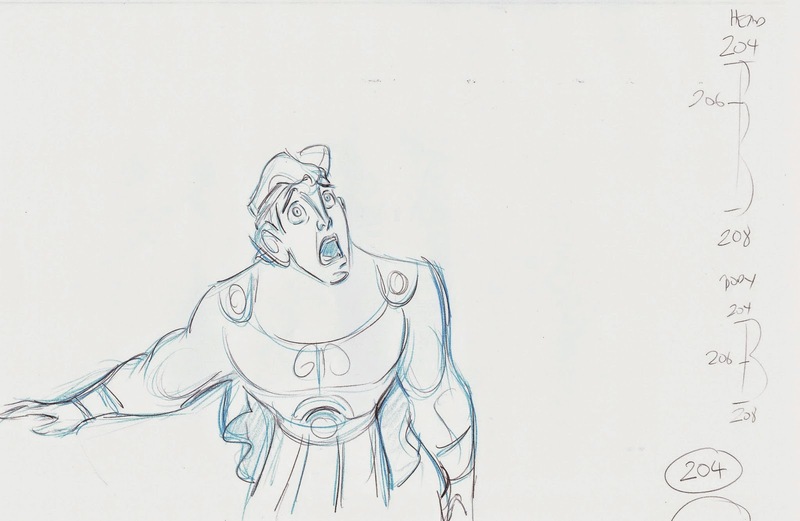 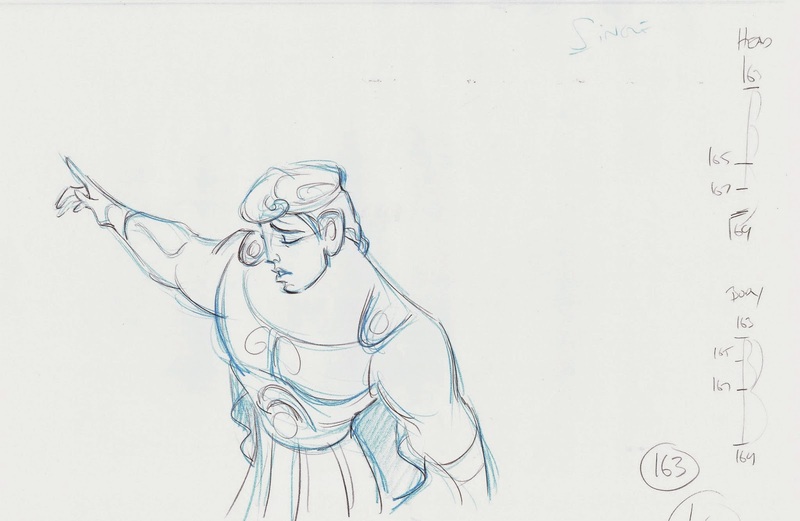 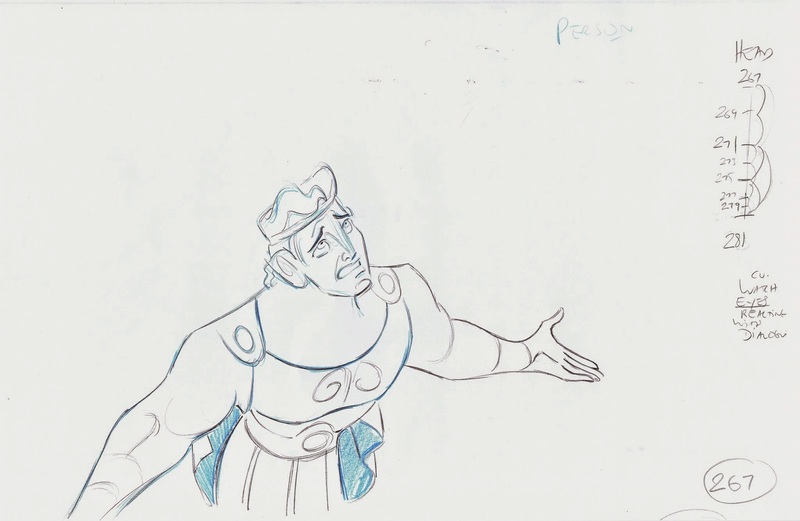 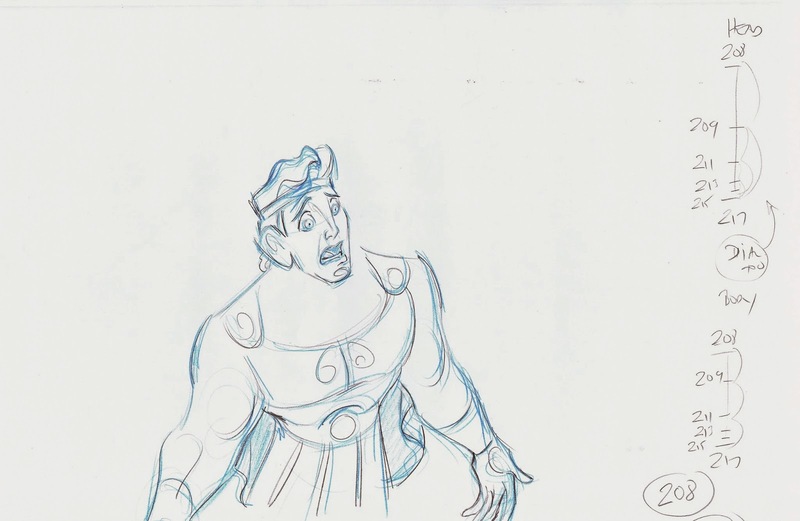 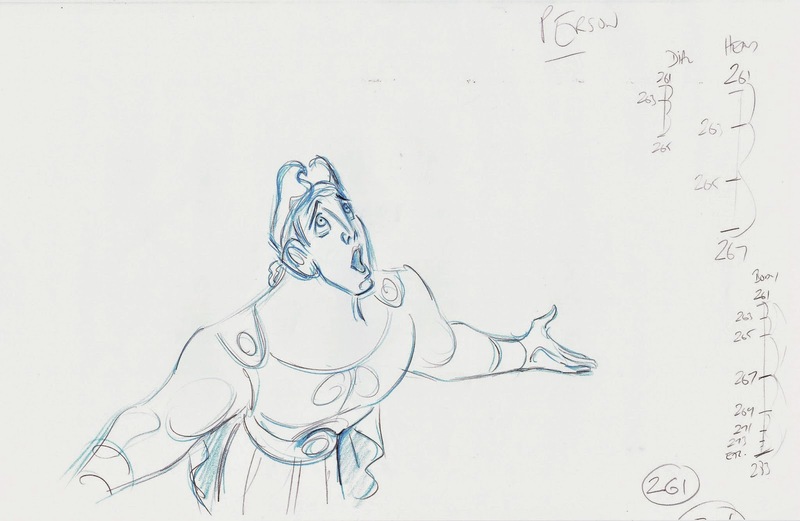 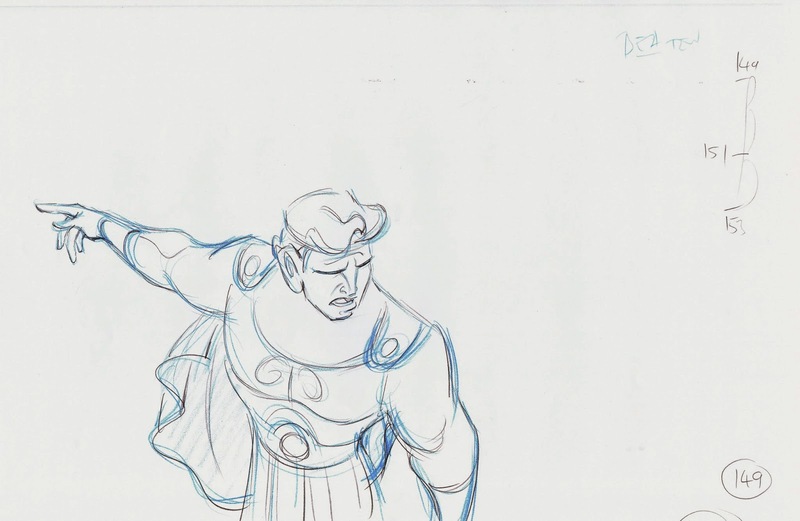 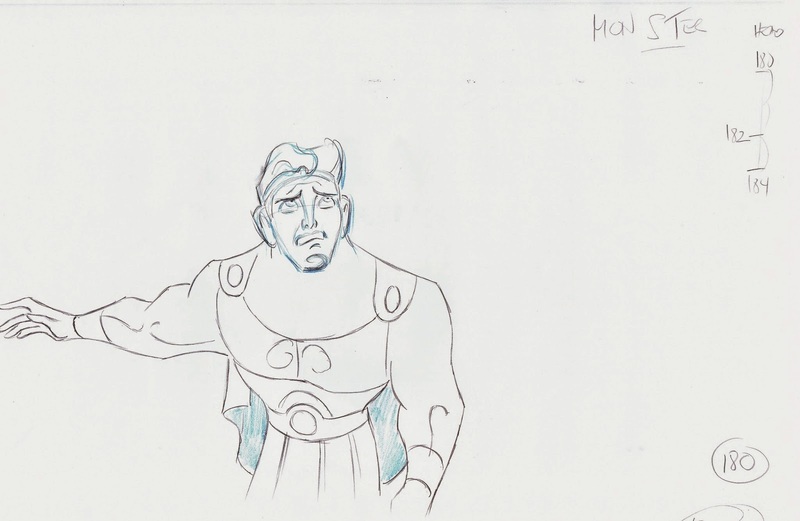 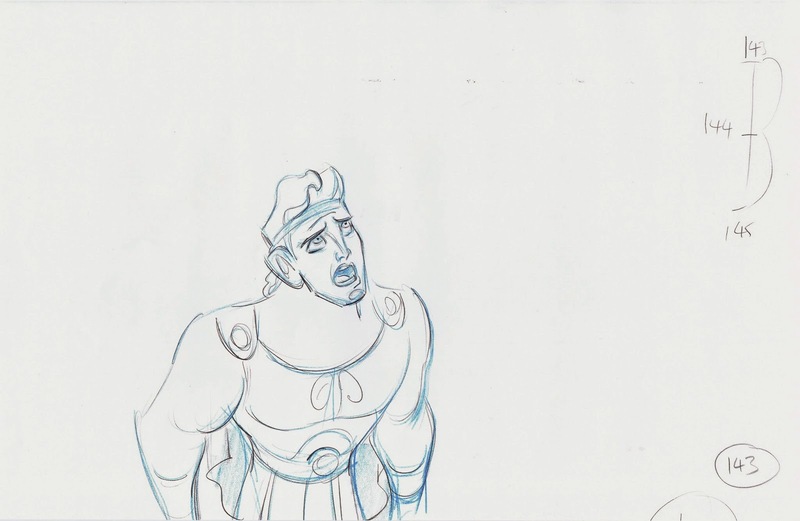 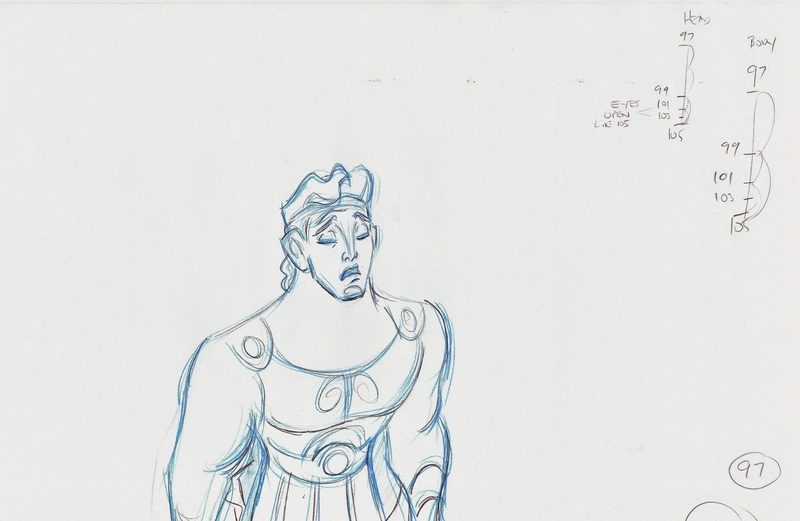 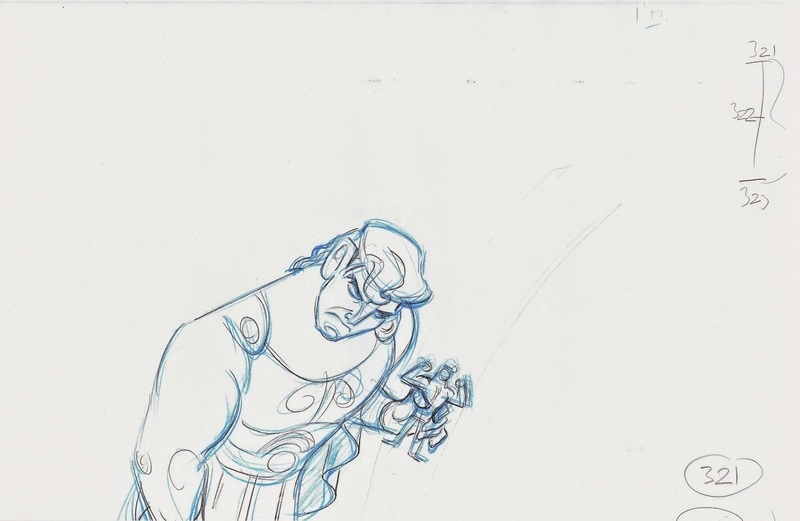 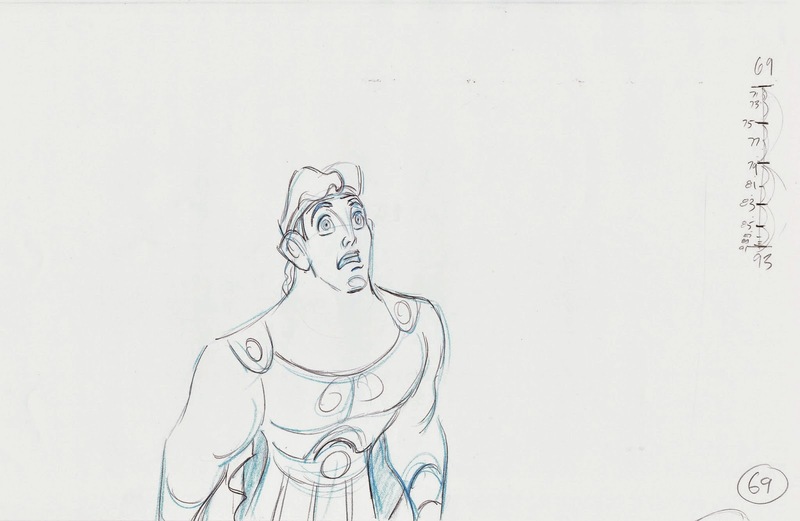 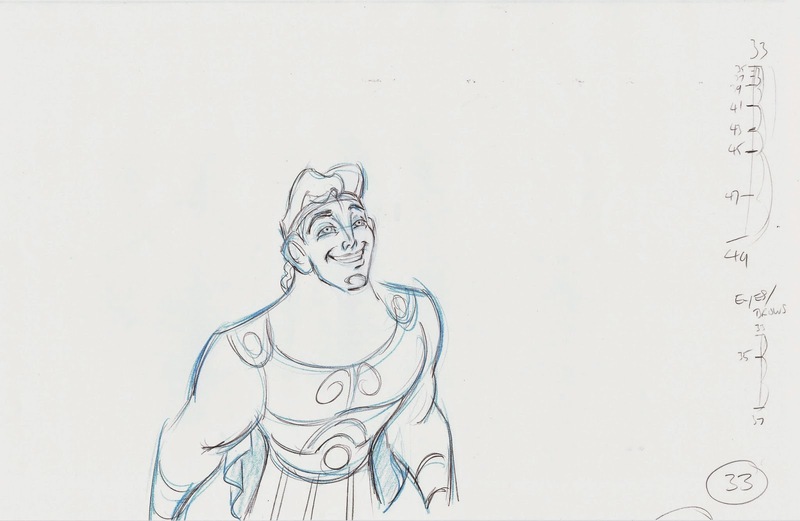 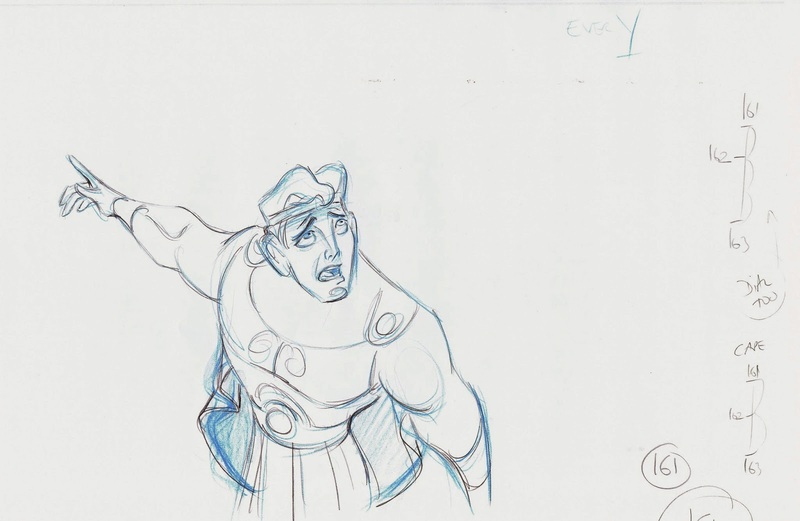 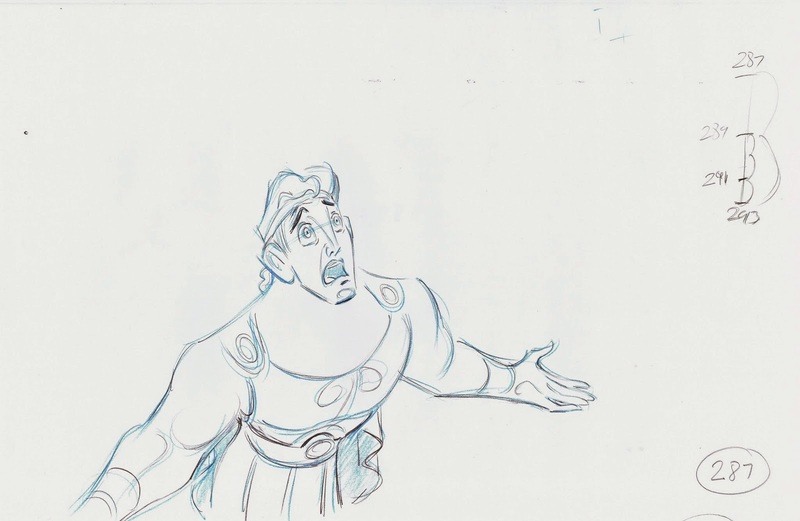 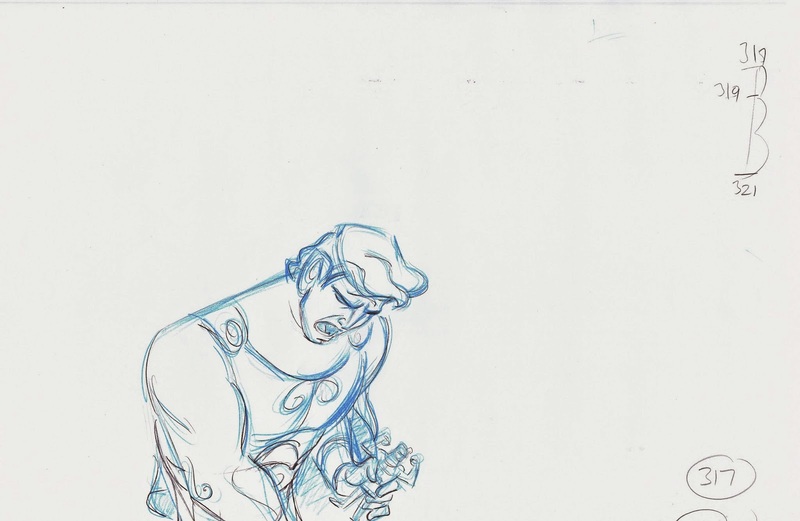 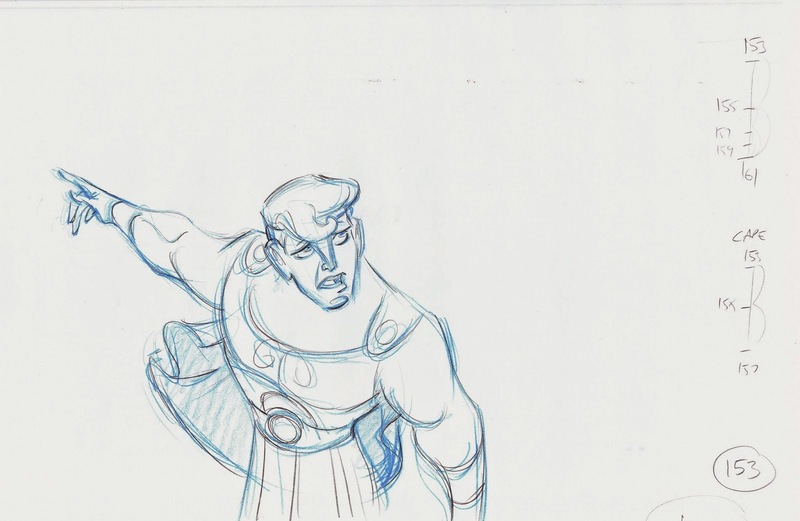 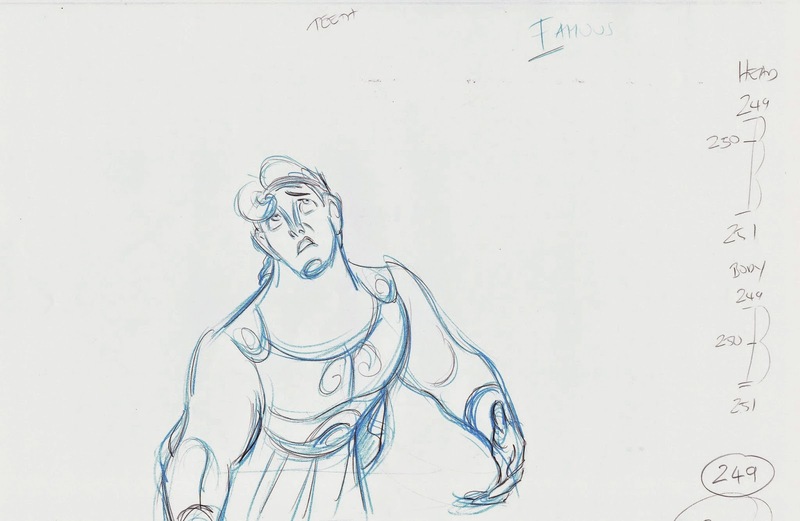 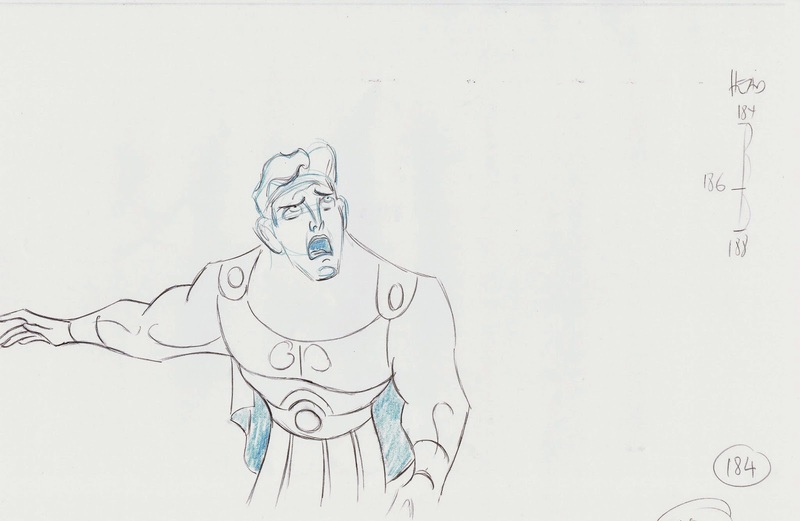 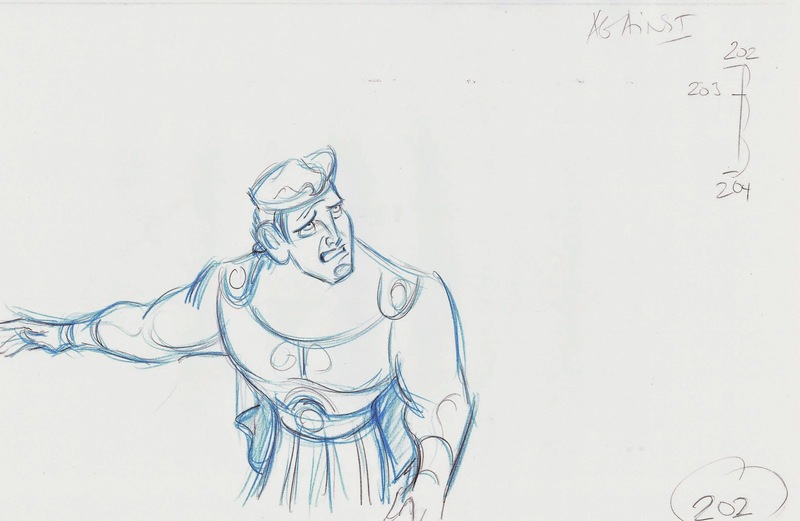 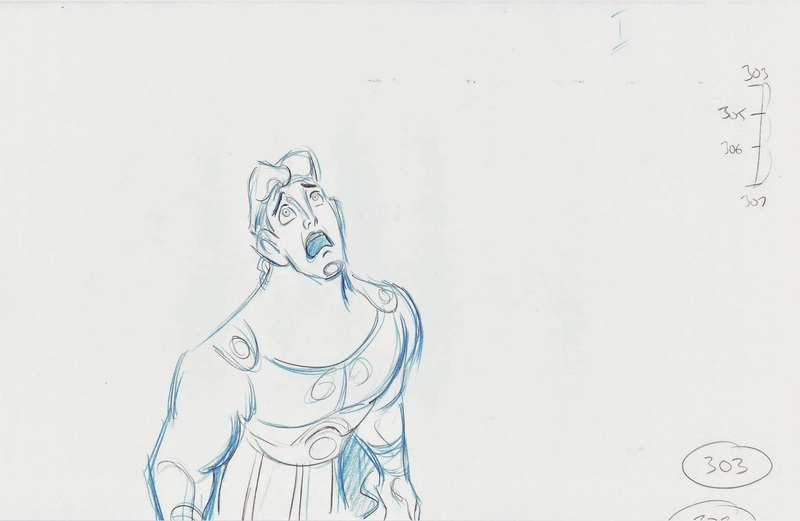 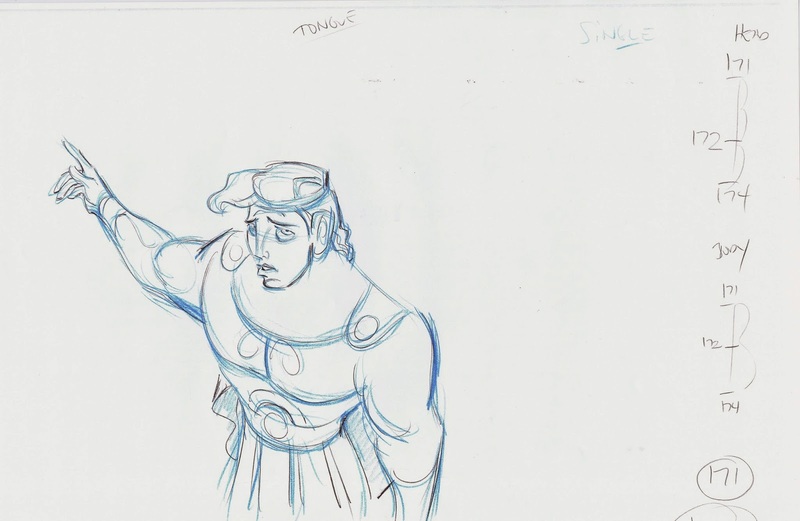 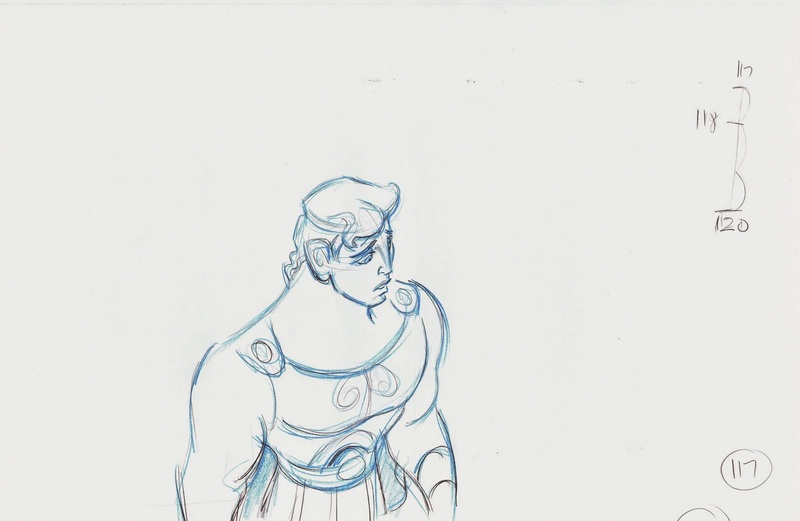 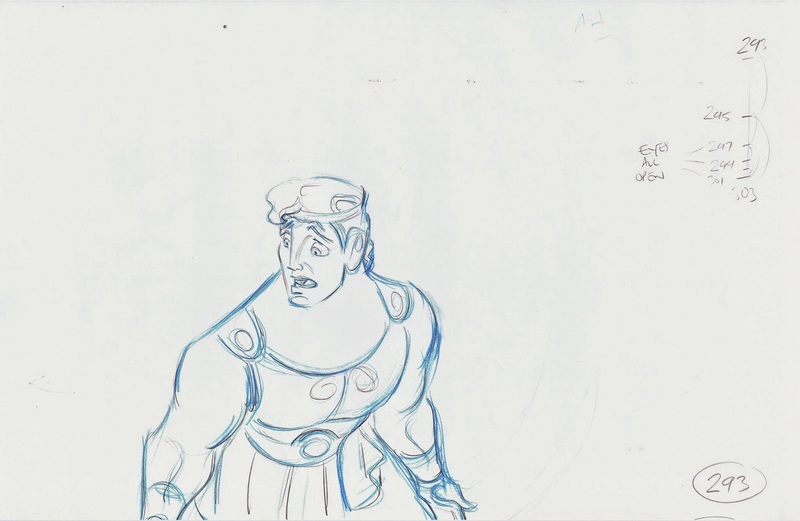 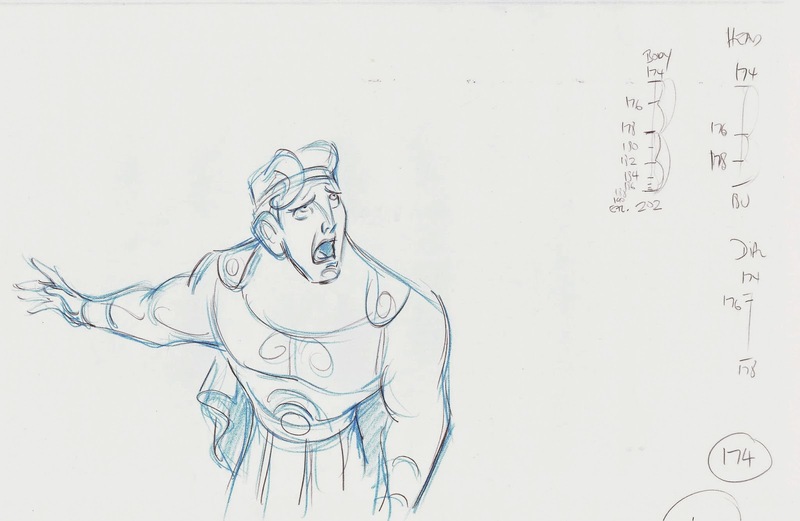 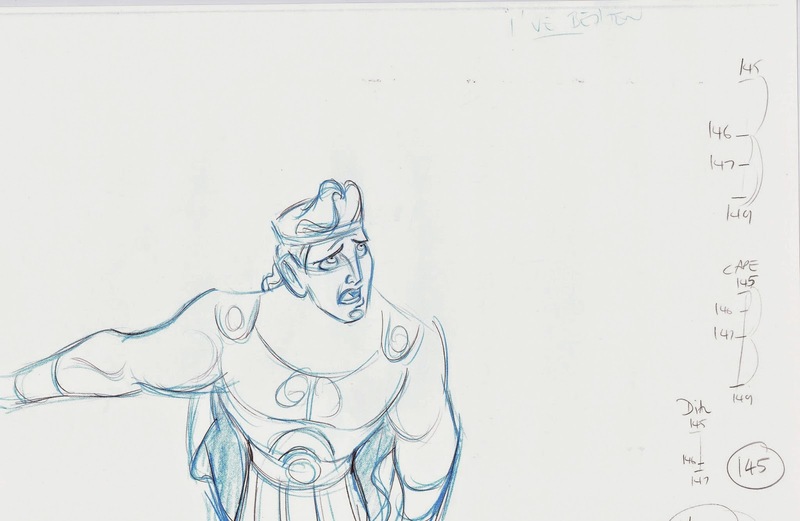 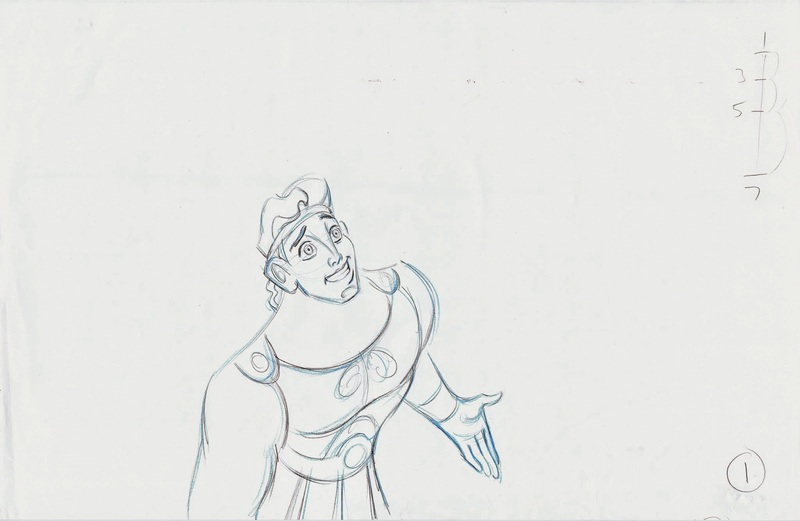 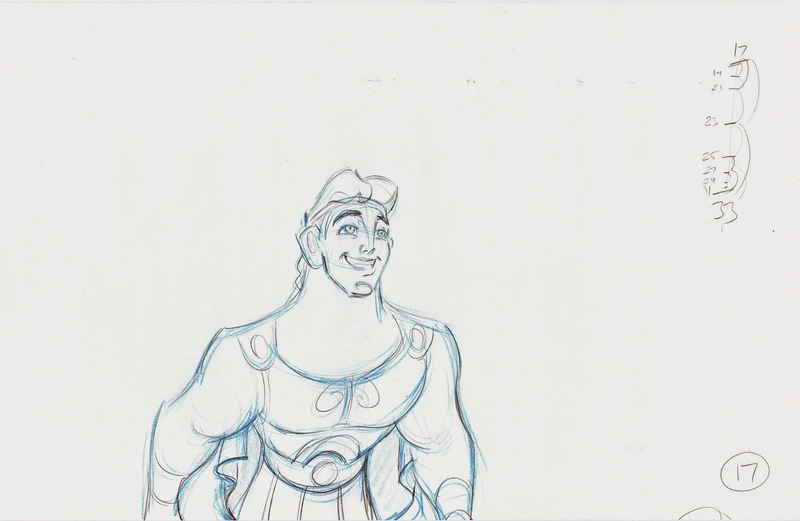 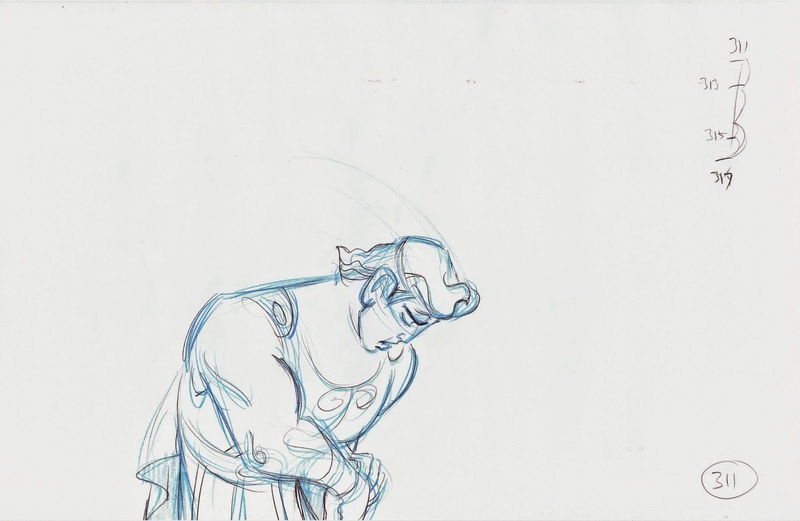 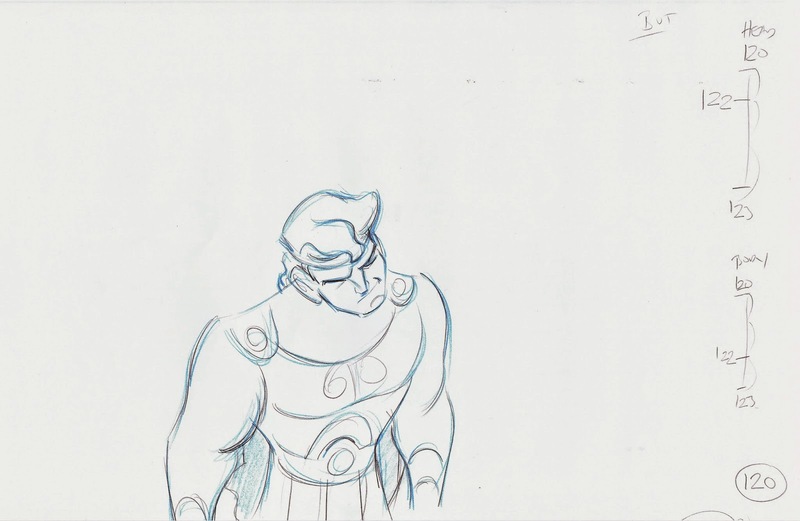 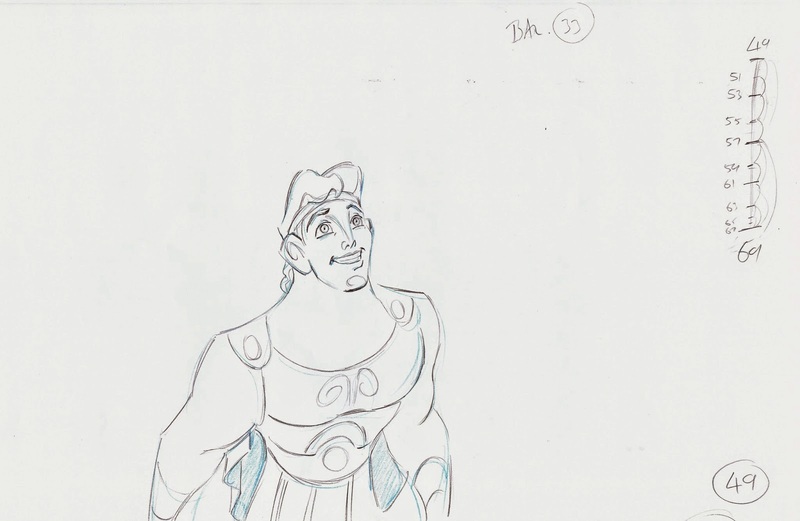 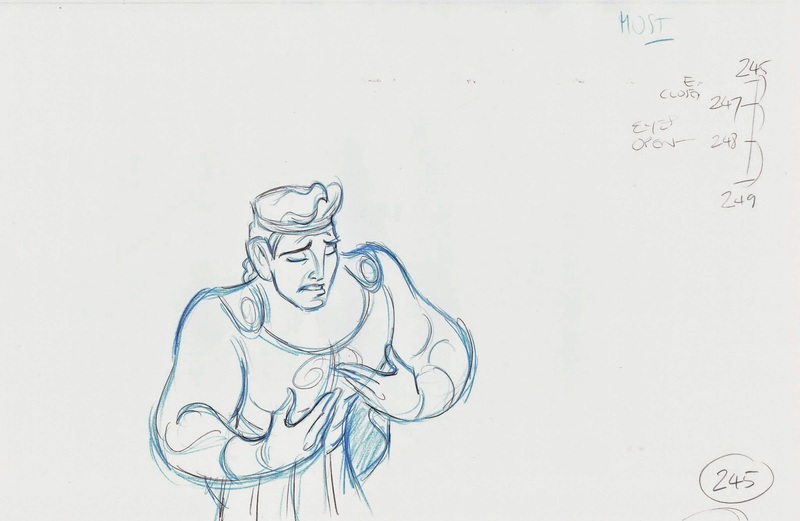 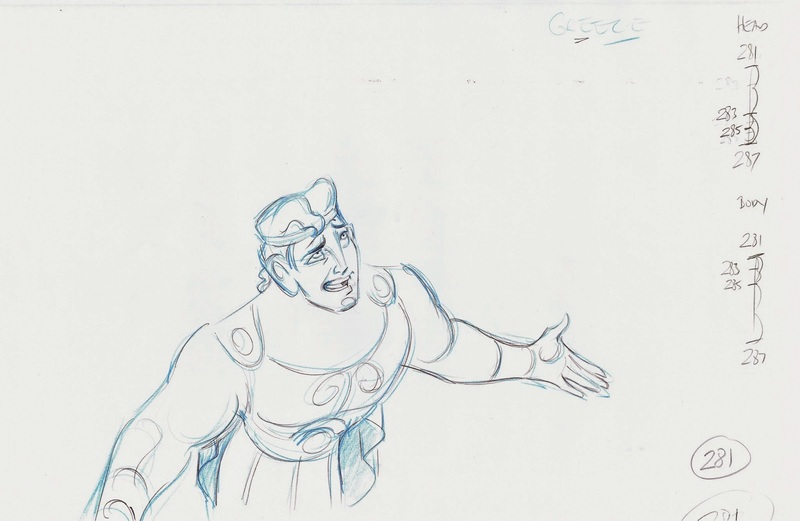 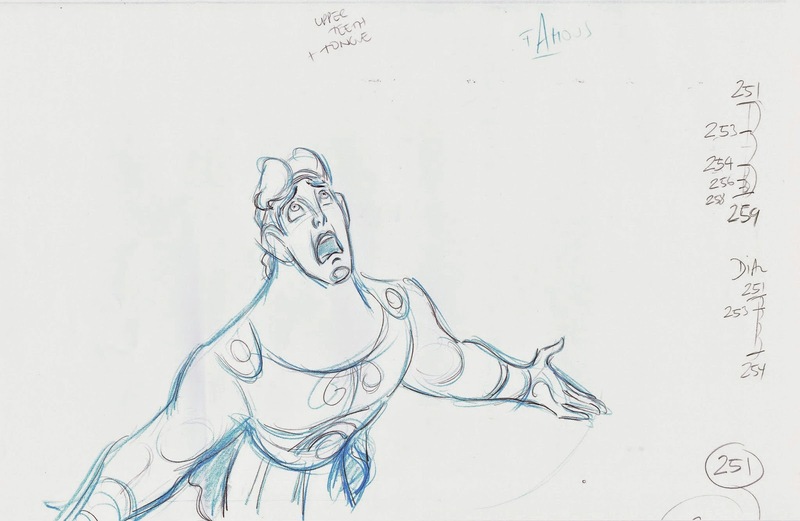 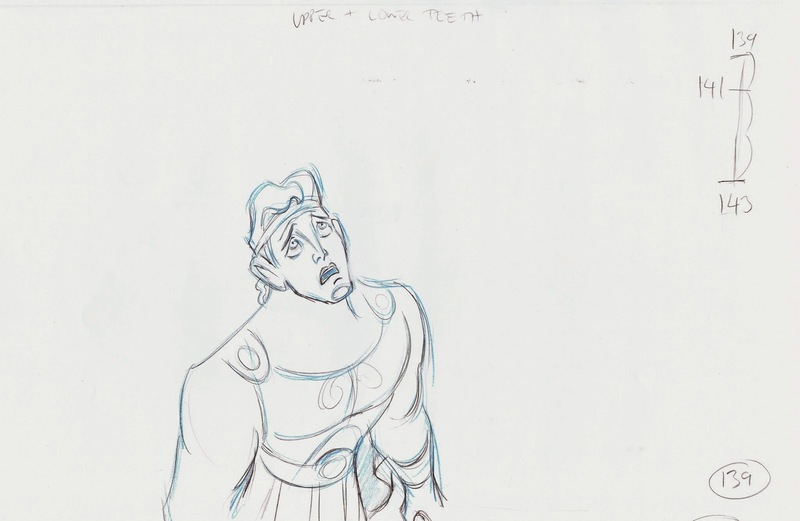 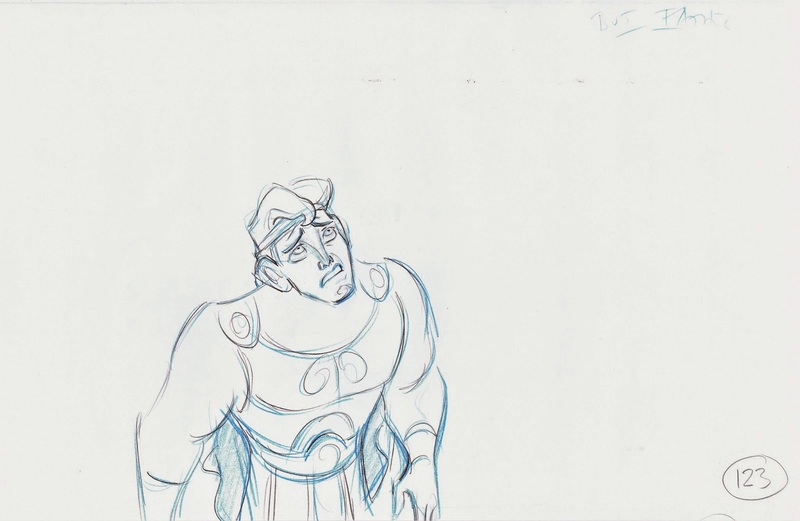 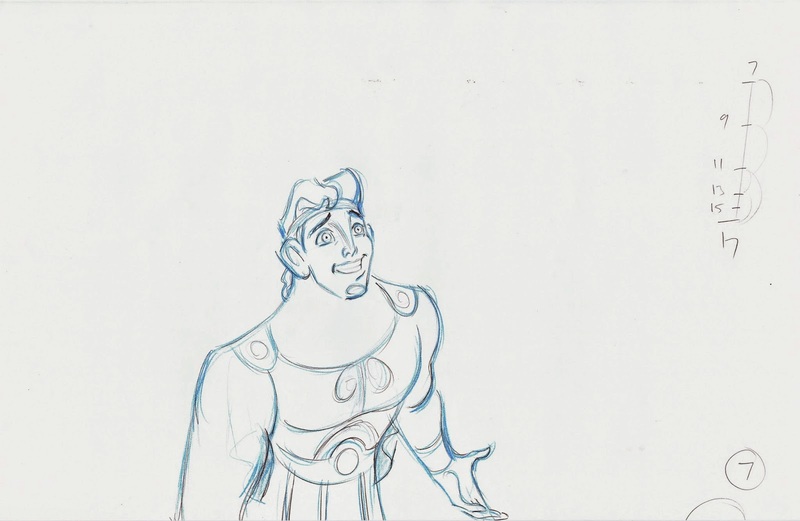 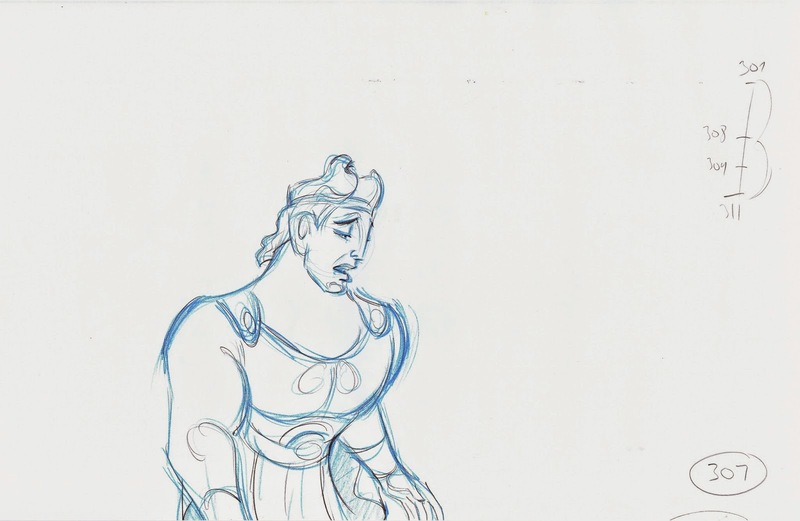 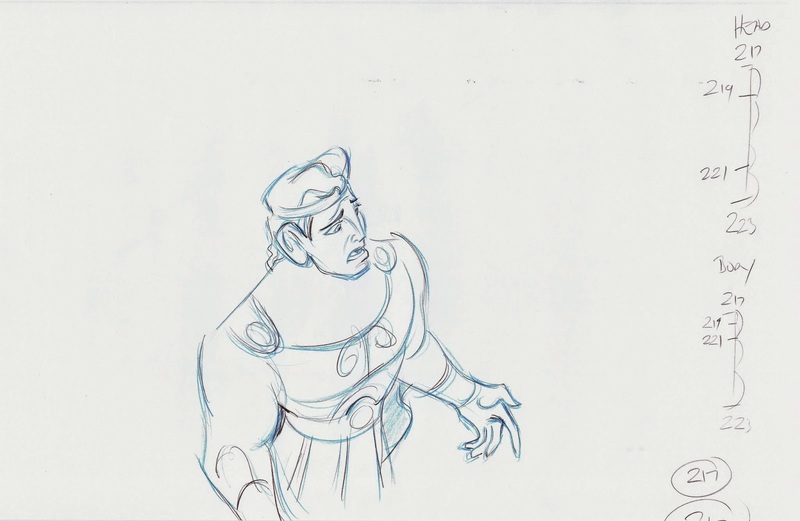 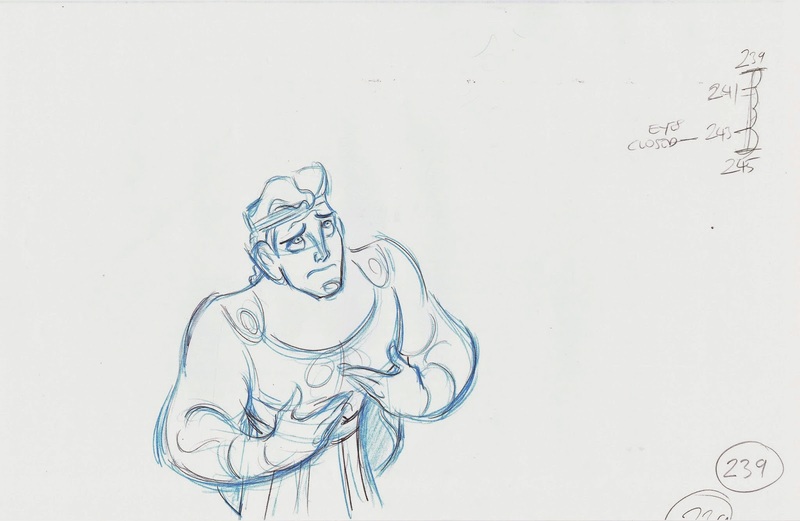 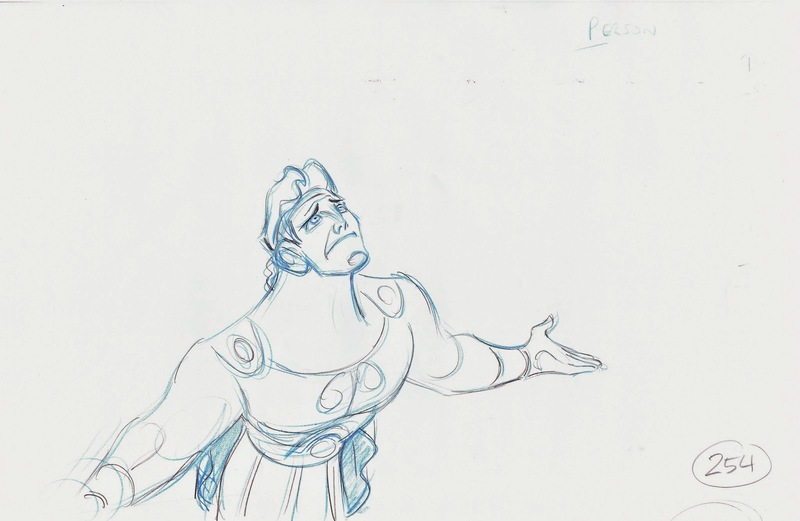 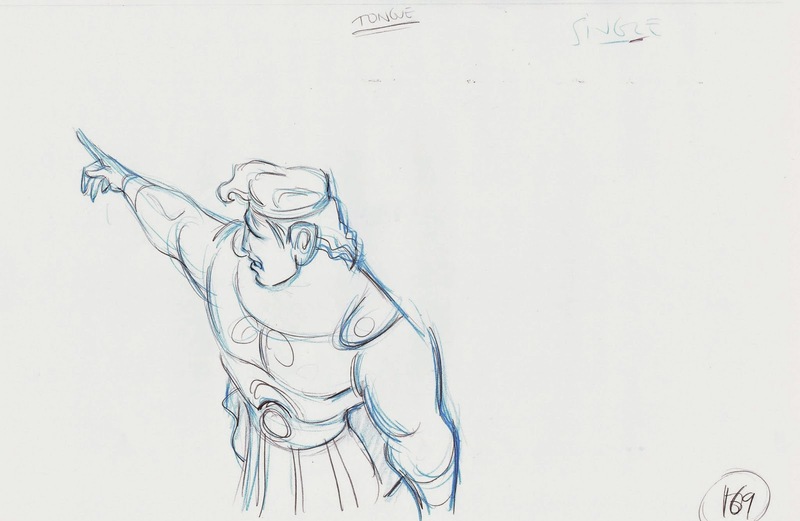 When I animated this scene with Hercules I was able to benefit from some live action reference. 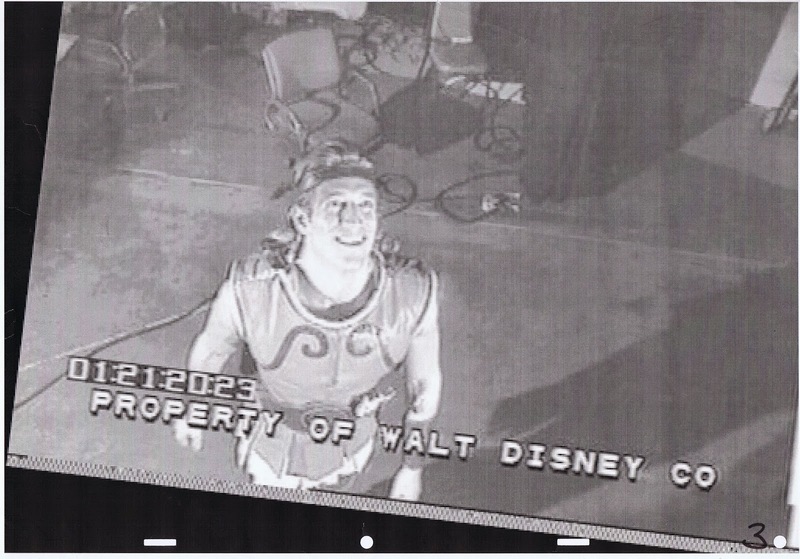 The actor who went through the motion in front of a video camera was Robert Gant. 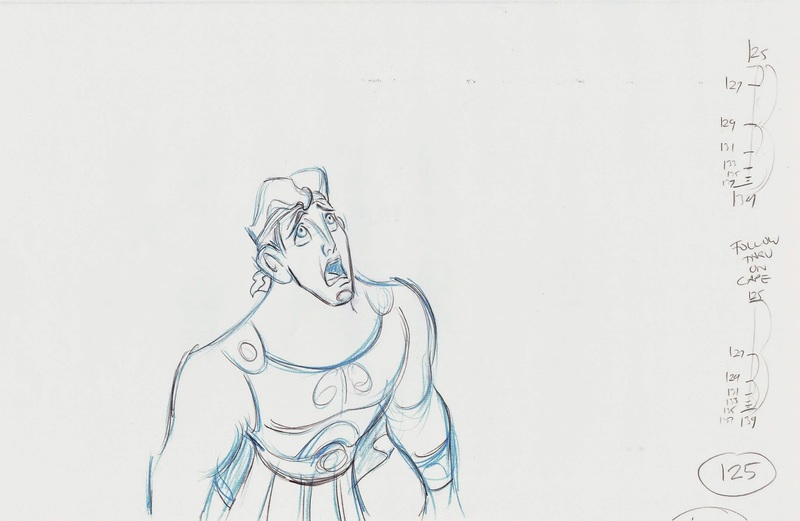 I received a layout package which included these two enlarged print-outs from the footage. 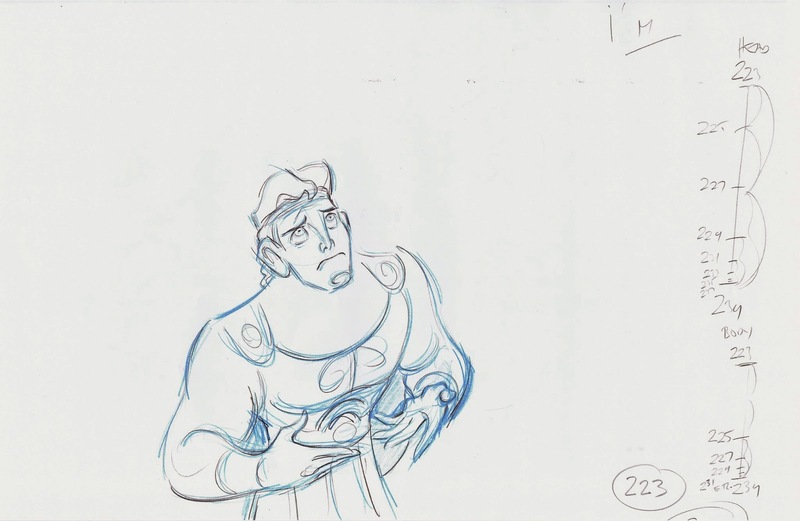 Before animating I studied Robert’s acting and actions on a TV monitor. 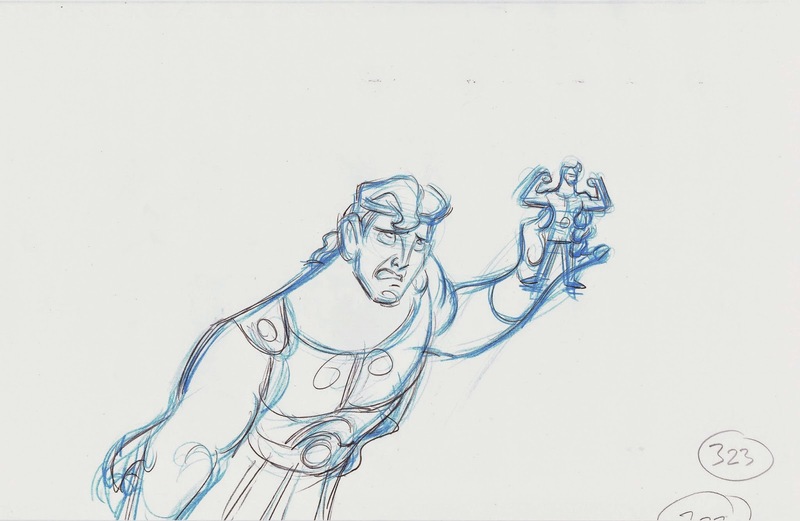 At the same time I drew a series of thumbnail sketches as I was searching for the key poses. 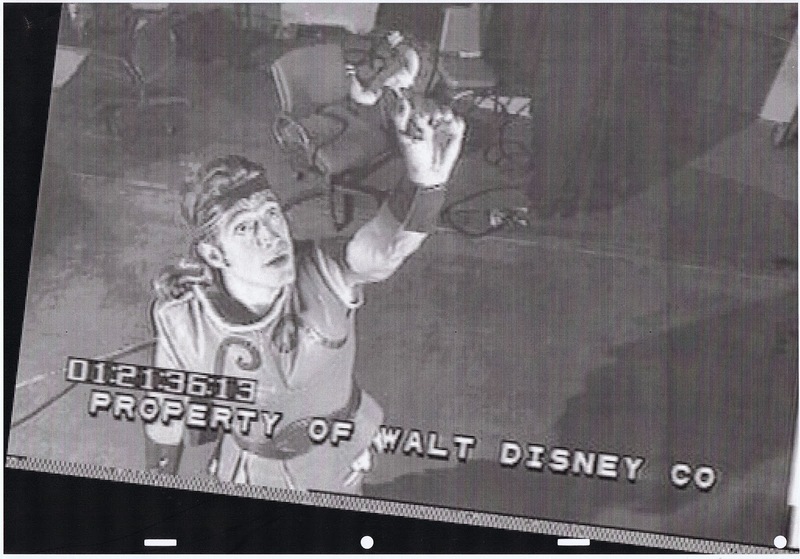 I remember the live action footage being excellent, and I used most of what Robert was doing. 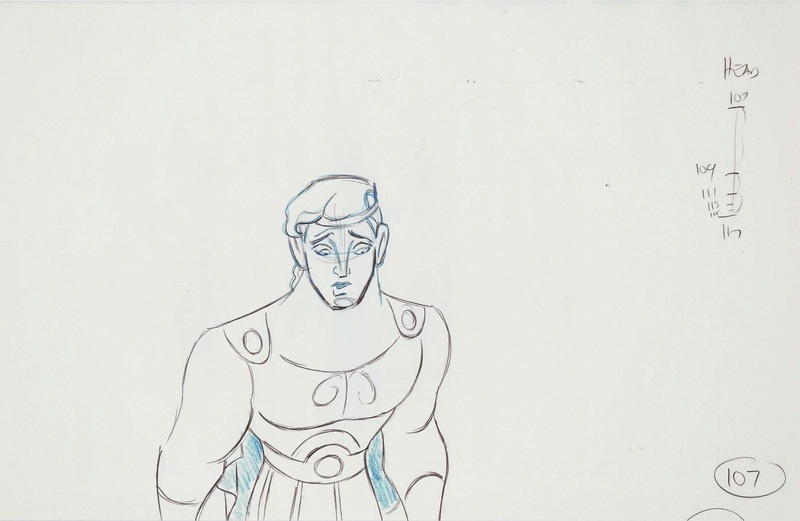 But by not tracing photostats it is still necessary to digest the scene in your head and make it your own. 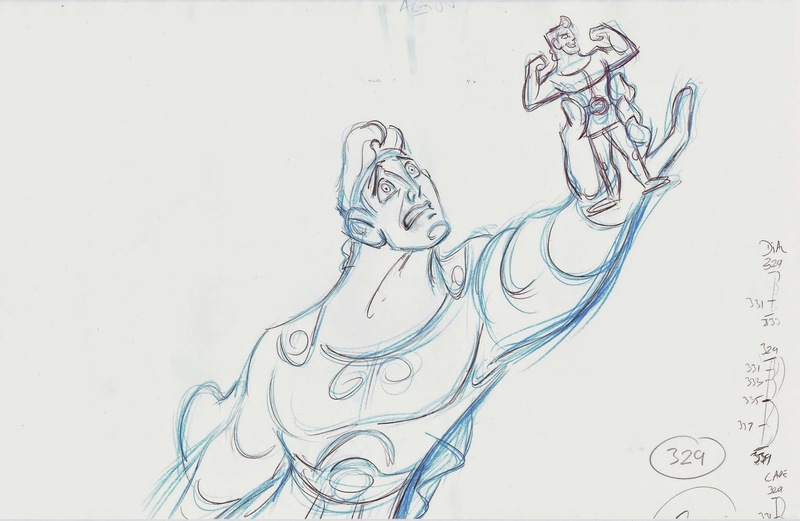 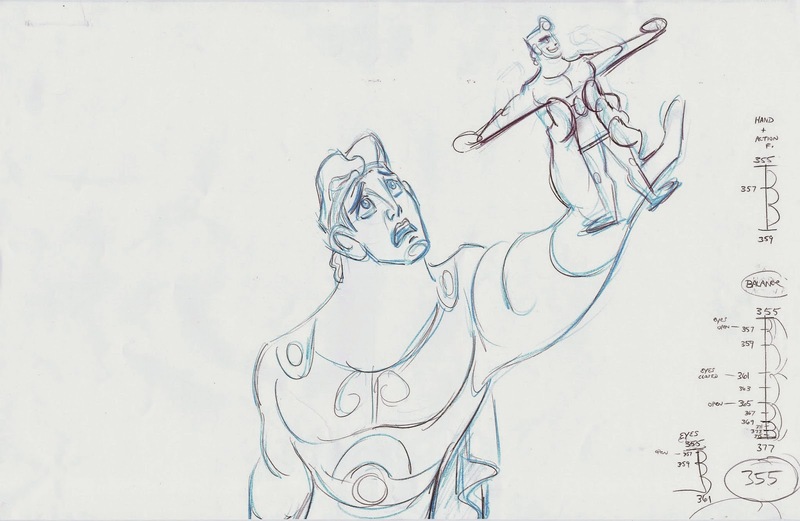 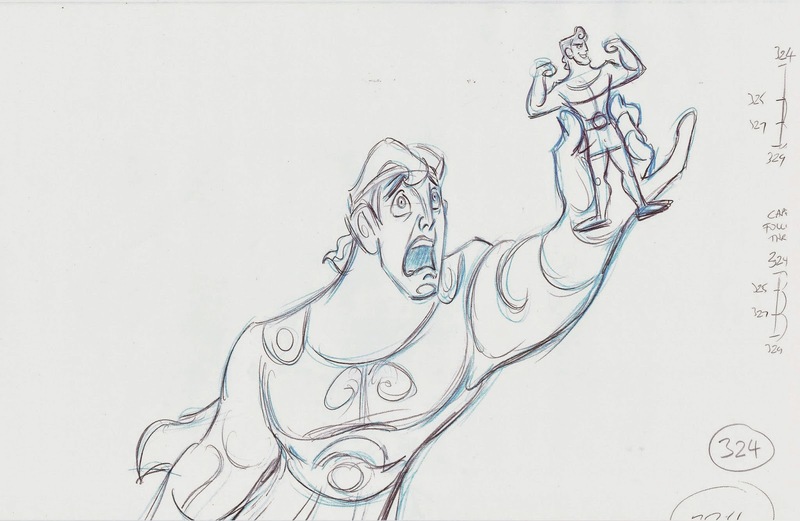 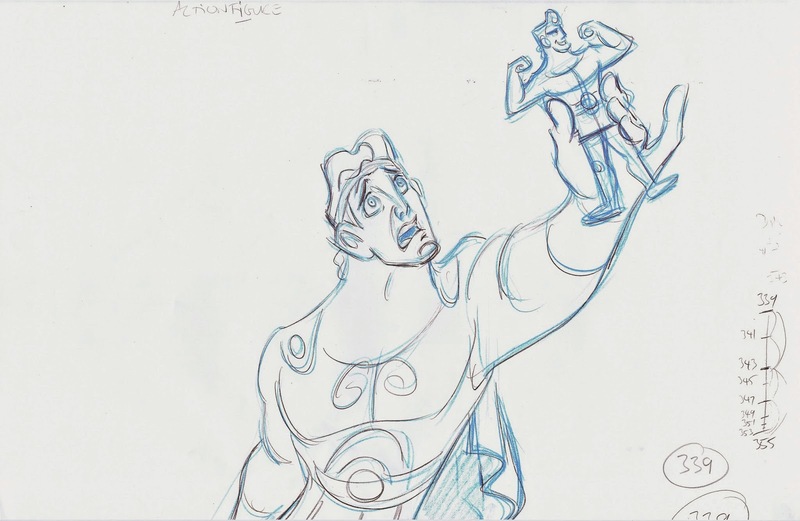 At that point he is holding up a little Hercules toy, and I decided what the scene needs is for this merchandise figure to be squeezed, which would result in a mechanical biceps flexing. 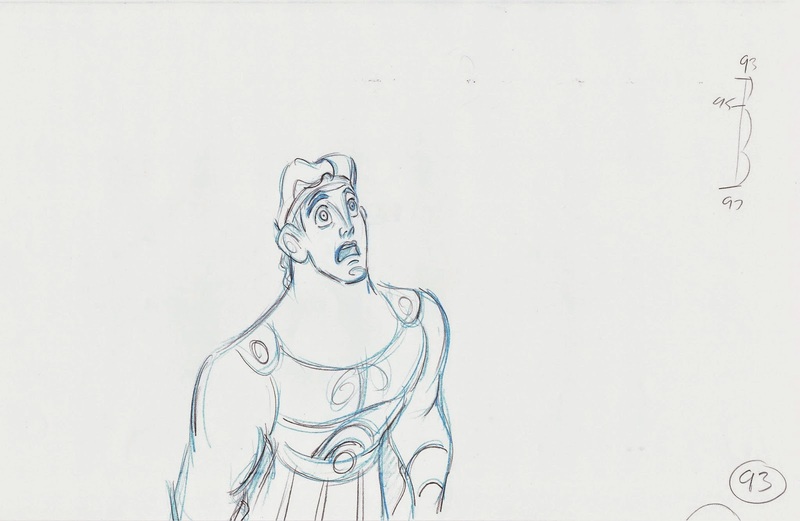 It got a laugh here and there during screenings.